Your Top Gun Adventure in Michigan - Fly a Real Fighter Jet! After not being present in the North of the US for quite a while, we now open the second location after returning to New England/New York a few months ago. And it is in a very attractive area in the North of Michigan, an extremely beautiful spot worth a visit, even without flying a fighter jet. But needless to say that the fighter jet flight training makes it much, much more memorable and you can finally check off that top bucket list item of yours! Get ready to fly the fantastic L-39 Albatros military jet. This beautiful jet is not only available at attractive costs, it is also a top choice for tourist flights, since its higher back seat allows for a perfect view over the pilot in front. And as it was mainly used as a training jet, it is sweet-natured. What’s included in an L-39 flight in North Michigan? What does it cost to fly the L-39 in Michigan? Currently, a 30 minutes L-39 Albatros flight costs USD 2,399.00 including all paperwork. 30 min is the minimum flight time in Michigan. The recommended 45min costs USD 2,999.00, 60min costs USD 3,499.00. What is required to fly a Jet? What are the requirements fly the L-39 fighter jet in Michigan? The Aero L-39 “Albatros” was designed by Aero Vodochody in the former Czechoslovakia (CSSR) to meet the Soviet Air Force’s needs of a lightweight, cost-effective and maneuverable training aircraft. The Polish PZL TS-11 Iskra was a competitor, but the L-39 was far more successful (and beautiful). Read more about the L-39 jet aircraft or book your flight right now by using the form below. 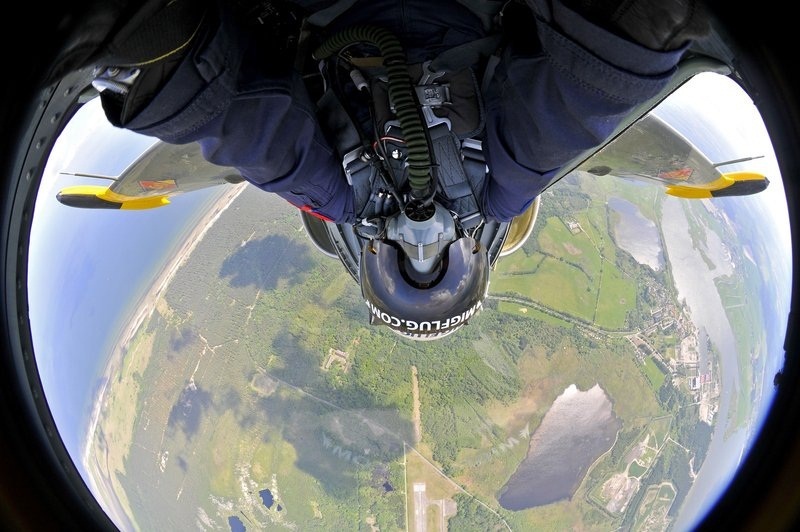 Today, you have the possibility to fly the L-39 fighter in Michigan. How do I get a flight? You’d like to fly or give a jet flight as a Gift and wonder how we go from here? Very easy. The availability is very good so we won’t have problems finding a flight day for you – even on short notice. You can either book a flight for yourself or buy a gift voucher. And – you can’t do anything wrong. You’ll have the flexibility to change the flight date and you can even change the flight location at no cost. We have Los Angeles/California, New York/Connecticut, Florida (and even Texas and Toronto/Canada) available – all at the same conditions and with the same fantastic flight program.